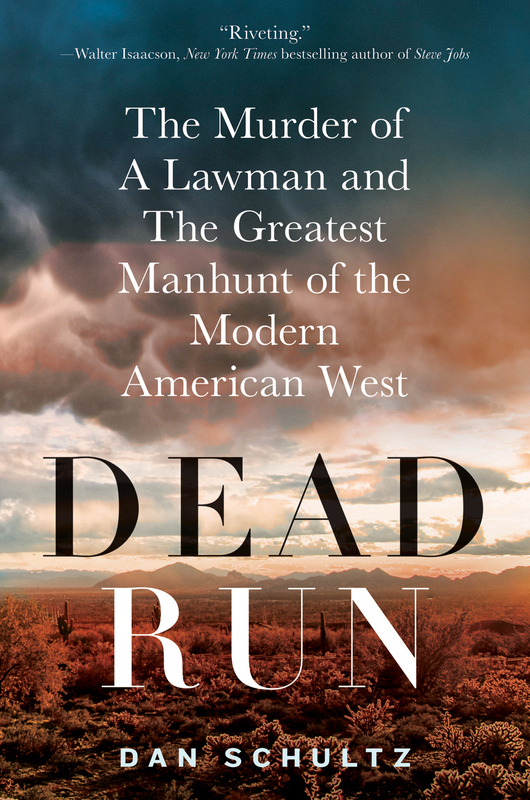 Dead Run: The Murder of a Lawman and the Greatest Manhunt of the Modern American West is a journey into the modern wild west of America. Author Dan Schultz has written the definitive account of an extraordinary crime and three survivalists fugitives who would not be out of place as outlaws in American frontier times during the 1800s. I found this book compelling. It’s exhaustively researched and that’s why it took me a while to read. I didn’t want to miss any detail. 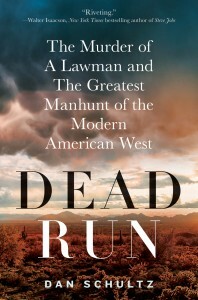 The backdrop of America’s “west” is fascinating and Schultz’s detailed writing provides social and geographical history as well as the story of the crime – the killing of a policeman in small town Colorado by three “desperados” Jason McVean, Robert Mason and Alan “Monte” Pilon, which resulted in a manhunt across 10,000 square miles of American wilderness. The story did not end with the murder of Officer Dale Claxton – the mystery of what happened to his killers spanned a decade and I loved the detail about the workings of the various sheriffs offices and state and federal police and army units. The turf wars and failings of government agencies really add to this tale. The fugitives, all interested in survivalist pursuits, evaded even the most up-to-date technology and investigation techniques. The manhunt made international headlines. This is one of my top true crime reads of 2013. Dead Run is published by St Martin’s Press. Here’s a few other review of Dead Run that are of interest from The Durango Herald and Cortez Journal.